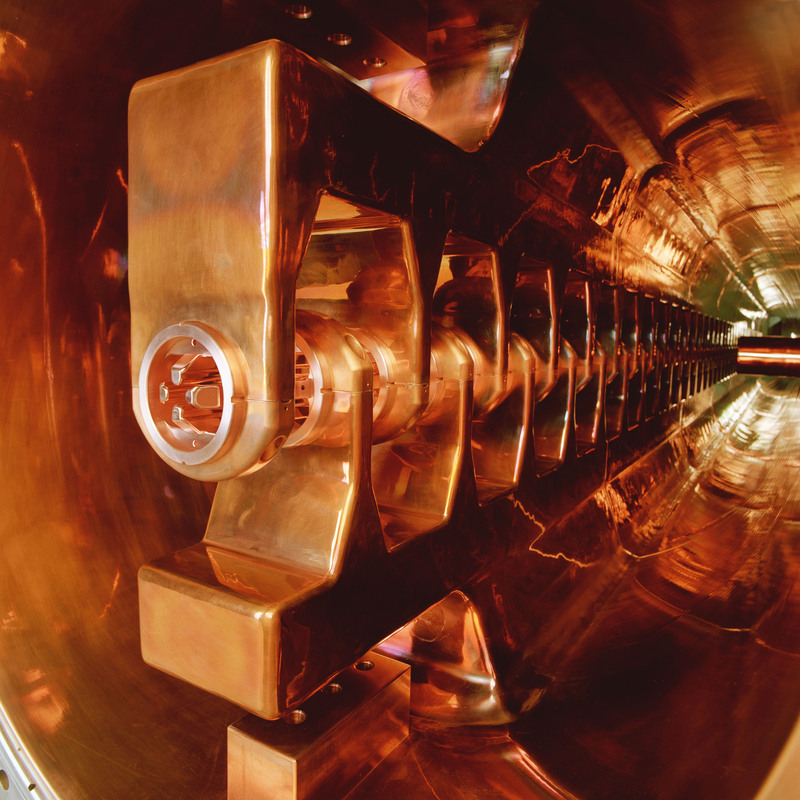 GSI’s 120 m linear particle accelerator (Credits: GSI). Humans venturing beyond Earth orbit deeper into space face increased exposure to cosmic radiation, so ESA has teamed with Germany’s GSI particle accelerator to test potential shielding for astronauts, including Moon and Mars soil. ESA’s two-year project is assessing the most promising materials for shielding future astronauts going to the Moon, the asteroids or Mars. Space is awash with charged particles, meaning that astronauts are officially classed as radiation workers. The International Space Station orbits within Earth’s magnetic field, safeguarding its occupants from the bulk of space radiation. To venture further out, dedicated shielding will be required. Space radiation comes from the Sun – in the form of intense but short-lived ‘solar particle events’ – as well as galactic cosmic radiation originating beyond our Solar System: atomic nuclei produced by dying stars, their passage sped by magnetic fields as they cross the galaxy. Most are small protons or helium nuclei, but about 1% are larger, the size of an iron atom or more – known as ‘high-ionising high energy particles’ or HZE for short. Radiation shielding can be counter-intuitive because denser and thicker does not always mean better. HZEs striking metal shields can produce showers of secondary particles that might be even more harmful. And as shield thickness increases, overall the energy loss of ionising radiation rises to a peak then declines rapidly. “In general, the lighter a material’s atomic nuclei the better the protection,” notes Alessandra. Water and polyethylene performed better than aluminium for instance, and new hydrogen-rich materials developed by UK company Cella Energy tested better still.